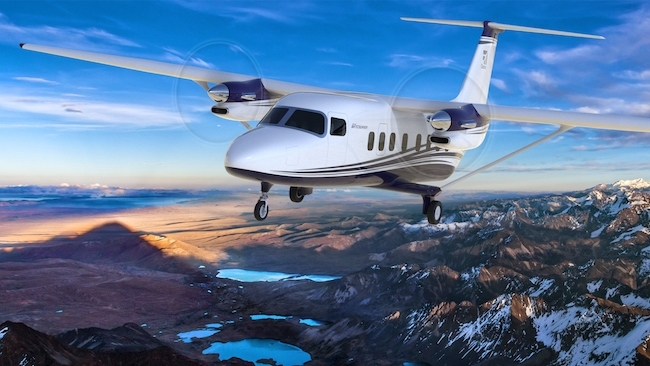 Textron Aviation has announced its new twin-engine, high-wing, large-utility turboprop – the Cessna SkyCourier 408. FedEx Express, the world’s largest express transportation company and longtime Textron Aviation customer, has signed on as the launch customer for up to 100 aircraft, with an initial fleet order of 50 cargo aircraft and options for 50 more. Entry into service for the clean-sheet design Cessna SkyCourier is planned for 2020. The efficient 19-passenger variant will include crew and passenger doors for smooth boarding, as well as large cabin windows for great natural light and views. Both configurations will offer single-point pressure refuelling to enable faster turnarounds.